Request A Shade Quote Today! Texas' shade company providing parking lot shades, hail protection structures, outdoor shade structures, sun sails and walkway covers to survive Texas' extreme sun and heat. 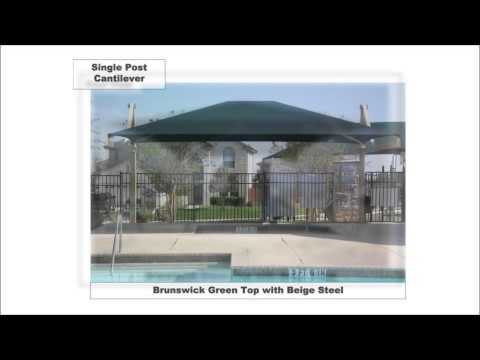 We provide the highest quality materials and installation of permanent shade structures in Texas. We specialize in shade structures including commercial parking lot shades, car dealership parking structures, hail nets, playgrounds shades and canopies, car wash shades, and pool shades. We service all areas of Texas including Amarillo, Austin, Dallas, El Paso, Fort Worth, Houston, Lubbock, Midland, New Braunfels, Odessa, San Angelo, San Antonio, and Waco. Contact our locally owned and operated Texas sun shade and awning company for all your shade structure needs and a FREE estimate.